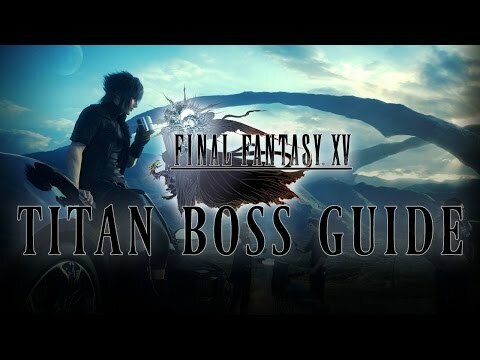 The Trial of Titan is a Quest in Final Fantasy XV. "No sooner does Noctis appear before Titan than the divinity unleashes his fury upon him. If the King is to receive of the Archaean;s blessing, he must survive this trial. Meanwhile, the imperial army converges upon the Disc with deicidal intent..."
Now that you've made you way to Titan, it's time to fight him. Warp to the platform when you fall and the fight will begin. Make sure to make liberal use of the block and parry commands on his foot stomp. On his second attempt you will want to start running back up and then do some dodging as you head to the top. Once at the top, get to cover. Gladiolus will give you a boost up and you'll be running until he swipes you away. Be ready to block and parry with the Royal Arms. Eventually you will have the offensive, to parry and land as many blows as you can using your warp strikes to attack him while down. Your party will join you along with more soldiers. At this point Titan's attacks will be hand swipes and slams. Warp or dodge the sweeps and when he raises his fist prepare to hit the block prompt. 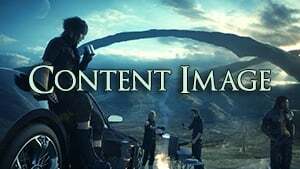 Afterwards you'll gain the Armiger Chain ability. You can now use the Armiger bar to pull off a powerful team attack, the fast and more power left in the bar, the more powerful the attack. Keep dodging and attacking, and feel free to ignore the soldiers. When your party has prepped their ice attacks, do as much damage as you can to earn 5 AP and they'll let the magic fly at which point you can sever his arm. Once defeated, you'll escape during a cutscene with Arydn and your journey continues with the start of Chapter 5 and the quest, The Hexatheon's Blessings.